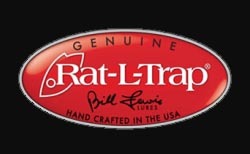 Bill Lewis’ legendary invention, the Rat-L-Trap®, is recognized as the most popular, and consequently, the most imitated lure over the past 35 years. But imitation doesn’t mean duplication. Just ask any of the “Who’s Who” of top name Pros that used Rat-L-Trap® imitations while competing against Boyd Duckett at the 2007 BASSMASTER® CLASSIC. Boyd wasn’t paid to fish with the original Rat-L-Trap®, he made that decision himself and ‘BOY OH BOYD’ was it the right one! The fact is that while dozens of lure companies have spent the last 30 years trying to make a lure as good as the Rat-L-Trap®, we’ve been making the Rat-L-Trap® better and better. Today’s Rat-L-Trap® is proven by leading experts to produce sound qualities nearly identical to those of schooling baitfish under attack. These sounds are the ‘Dinner Bell’ for predator fish.